Sveabreen (-glacier) in inner Nordfjord on the northern side of Isfjord. The glacier can easily be seen from Longyearbyen if the weather is good. 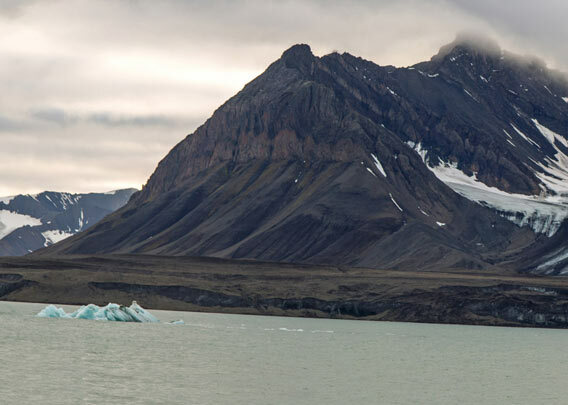 The mountain west of Sveabreen shows beautiful geological patterns: folded layers, deposited during the Permian, more than 250 million years ago, in shallow, warm seas near the equator. These sediments are rich in fossils.